Ken Harrison arrived in South Africa with his wife Sheila in 1970 after emigrating from the United Kingdom. Ken then began the journey in building the now renowned and respected plumbing business, Ken Harrison Reliable Plumbers.In 2003, Ken met Esra Greyvensteyn, the then owner of Reliable Plumbers. Initially Esra worked as a sub-contractor to Ken Harrison Plumbers. Ken was incredibly impressed with his eagerness, enthusiasm and his passion for quality workmanship and good service. It was in 2004 when Ken sold Ken Harrison Plumbers to Esra and his wife, Lucy. They renamed the business to Ken Harrison Reliable Plumbers and Ken retired to Melkbos Strand in the Cape. To this day, Ken and Esra maintain a ‘father-son’ relationship and agree that the success of the business is the reliable service, trustworthiness and high quality workmanship. All in all, reliability spells success! 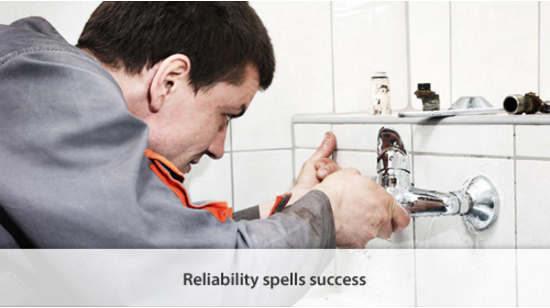 The long-standing, credible reputation of Ken Harrison Reliable Plumbers has been carried and built upon since the company’s inception.To this day, the business carries out the values and mission that Ken Harrison put in place when he established the company many years ago. Both existing and new clients know that by utilising Ken Harrison Reliable Plumbers, they will receive nothing less that exceptional quality and reliable service. 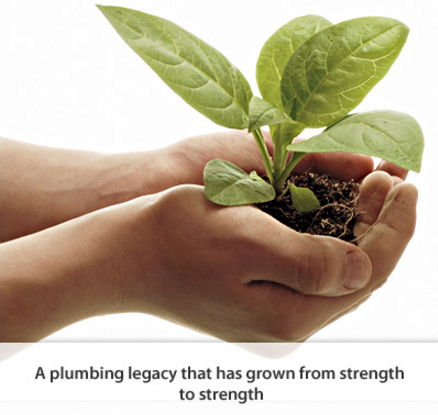 Ken Harrison began a plumbing legacy that has grown from strength to strength over 40 years. While Ken Harrison Reliable Plumbers do carry out your usual plumbing services, we do consider ourselves to be a little different and cut above the rest.Not only were we the first company to do leak detections in Gauteng, we supply only the best available products on the market that are environmentally-friendly or ‘green’ and will assist to reduce your household and business running costs. Most people don’t realise how a simple water leak could not only waste a precious and scarce resource but waste a lot of money that could far rather be spent elsewhere. 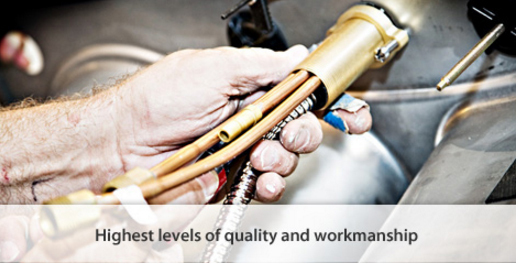 In addition, our services aren’t a simple “in and out” plumbing service. We render a high quality and reliable service that many plumbing companies lack by maintaining a lasting relationship with their clients. Our mission is to achieve the highest level of quality and workmanship.We will maintain our reputation for quality by continually achieving the benchmark, complying with all specifications, standards and contractual obligations and by encouraging employee involvement in the development and implementation of quality practices. These include the supply, installation and/or service of plumbing, gas fitting and drain laying, in the private and commercial fields. We take pride in our team of honest, efficient, highly trained professional staff.